CZR Incorporated was formed in 1969 as Coastal Zone Resources Corporation. Approaching four decades of environmental consulting, the company still adheres to its original philosophy, a corporate commitment to consistently provide the highest quality of services within budget and on schedule, achieved through the personal commitment and integrity of experienced professionals. 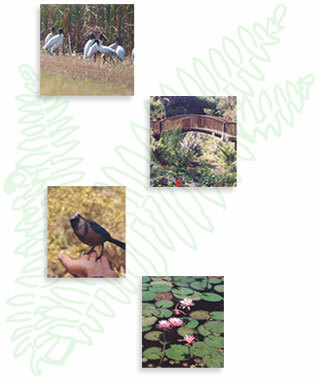 Our team includes specialists in botany, wetland ecology, wildlife management, invertebrate taxonomy, forestry, endangered and threatened species, permitting, environmental planning, aquatic ecology, fisheries, wetlands science, marine biology, geology, water quality, chemistry, socio-economics, geography, and cartography. Most CZR staff members have advanced degrees in their field of expertise, and many have additional training or certification in related fields such as jurisdictional wetland delineation, Wetland Evaluation Techniques (WET), or Habitat Evaluation Procedures (HEP). CZR also maintains a team of associate consultants in academics, engineering, and analytical laboratory settings to complement our capabilities. Our offices are located in Jupiter, Florida and Wilmington, North Carolina. Although our corporate office is based in Palm Beach County, our services have been provided throughout South Florida and the southeastern U.S., through coastal North Carolina. We are a small business under SIC code 8748, a woman-owned business, an Equal Opportunity Employer, and we maintain a Drug-Free Workplace. We are committed to communicating with clients in a professional manner and protecting confidential information. We use the information you provide to contact you and share information about our products and services. We will not sell, trade, or rent your information to third parties. We reserve the right to use a general description of your project for our marketing purposes only, as illustrated under the “sample projects” tab on this website.